Self parking along with complimentary valet service. Live Jazz Vocal on Select Days. 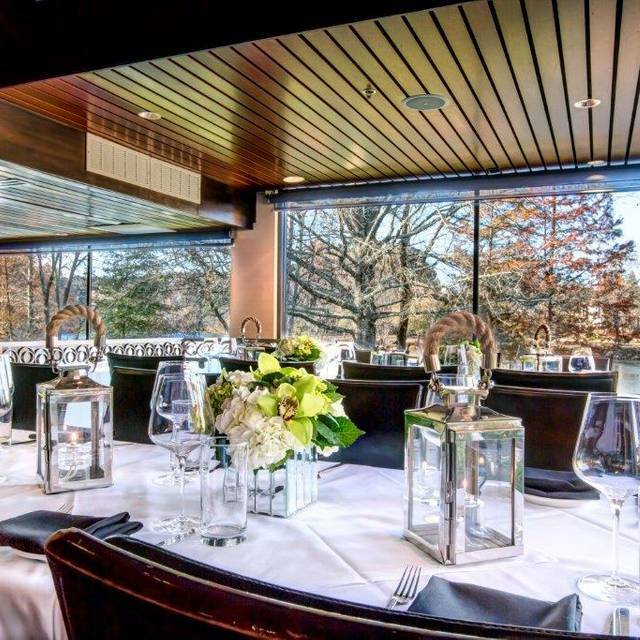 Situated along the Chattahoochee River, take in serene views and enjoy a menu filled with classic Ray’s dishes including fresh seafood flown in daily, prime cut steaks and regionally grown vegetables. 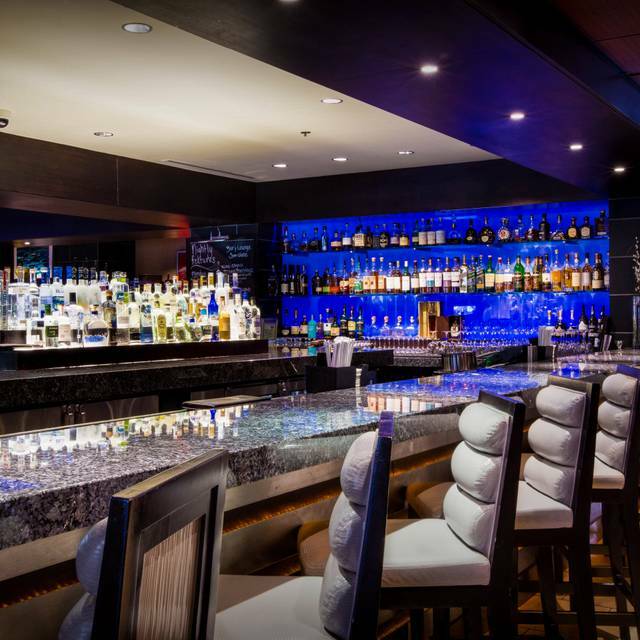 As an Atlanta dining institution, Ray's offers live entertainment, a creative hand-crafted cocktail menu and a Wine Spectator Award of Excellence wine list. 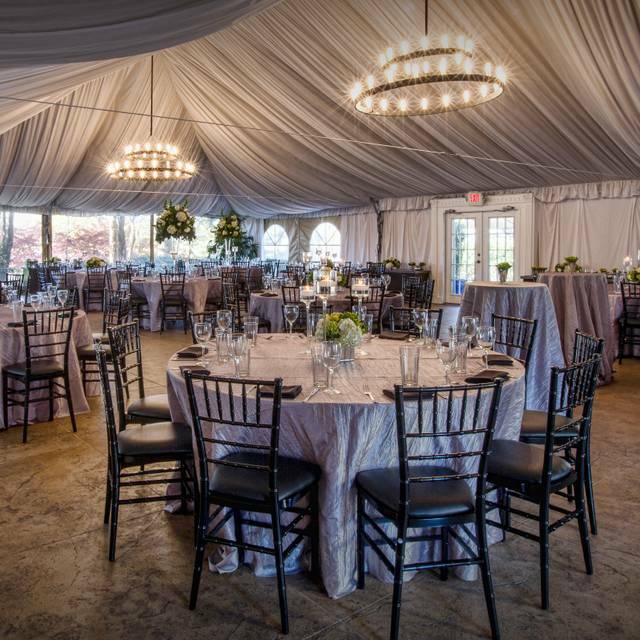 At Ray's, we strive to exceed expectations with every visit. Don't miss our Sunday Brunch Buffet served from 10:30am-3pm- We are proud to have been recently voted as a top 100 brunch restaurant in America! Celebrating all Moms! Join us on Sunday, May 12th from 9am-8pm for our Mother's Day Buffet; $55/adult, $27.50/child (ages 5-10). Preferred seating now available! Celebrating all Dads! Join us on Sunday, June 16th for our Brunch Buffet from 9am-3pm ($50/adult and $25/child, ages 5-10) or our A La Carte Dinner Menu from 5pm-9pm. Preferred seating now available! We hadn’t been to Rays in years and weren’t aware that it was no longer the restaurant we remembered. The view of the river was still great, but the food was mediocre. The dessert selections were uninspired. We had late reservations, so the food was picked over. For the price, I would expect the food to be as fresh as it was for their early guests. The chairs were so worn that you felt as if you were sitting in a hole. A disappointing experience. We went for Easter and had made dinner reservations. We were looking forward to the buffet as it would give us lots of options. However to our surprise it was not. I expected to have the same option as as someone who ate earlier. It was very disappointing that cheese and bread area looked sparse as though you were at family reunion and last to arrive. They were totally out of ribs and lamb. The dessert area had couple cookies but not chocolate chip and blueberry shortcake, key lime pie. However my daughter went to get key lime pie moment later and all was gone. I did express disappointment to manager about dessert, he said sorry. While I understand sometimes you can run out of things quickly or unexpected. However at $55 for adult and $27/child I expect better options. Enjoyed the atmosphere. We may come back but not for holiday or any time they have buffet. Had to wait despite prepaid reservation. Nice riverside view. Picked-over buffet, tasteless crab and cool oysters. Unappetizing lamb carcass, prime rib either rare or well done. $350 for four including 20 per cent tip. Fig old fashioned was the best part of the meal. Nice stroll out back for pictures. Not quite sure if maybe we should have gone earlier in the day to get the best food spread or if it was continuously a hassle for all throughout the day for Easter buffet. My family of five arrived at 5:15pm for the Easter buffet and had slim pickings for all. We went for the prime rib and lamb- and never got either. We had to repeatedly ask for food trays to be filled... cheese, fruit, meat, etc. we left disappointed. $55 per person (even for our 12 year old) and felt it wasn’t worth it. It was a great place for Easter brunch. Sitting outside by the river after the meal was very relaxing. The food and service was impeccable. They overbooked and it caused me major problems. Disappointed is an understatement. I will take that up with management. 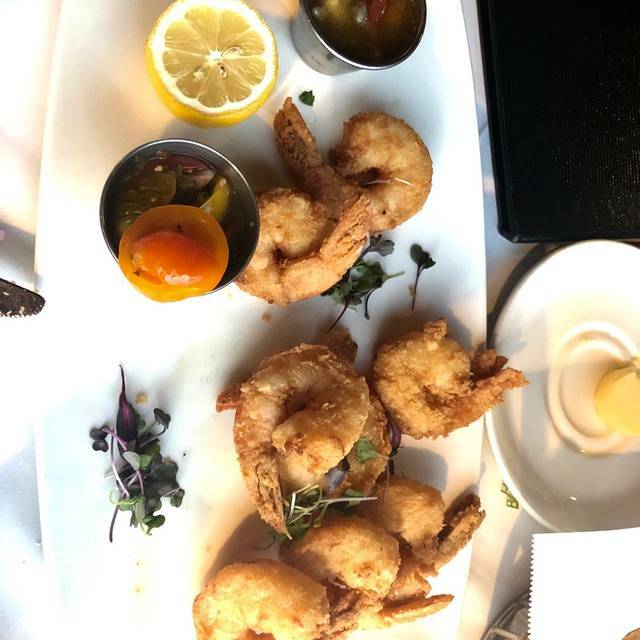 The food was divine, Every-time you thought that this one thing was the best the next bite exceeded the prior bite. When all the fruit is sweet, the choices in meats was astounding. Leg of lamb, crab cakes, crab claws, fork tender brisket, prime rib. The list goes on and on. I would finish a plate and the waiter would take that plate and refill our beverages. Great restaurant all around IF they stick to reservations only. Rays has always been my go to spot for a special brunch like Easter, Mother's Day, etc. 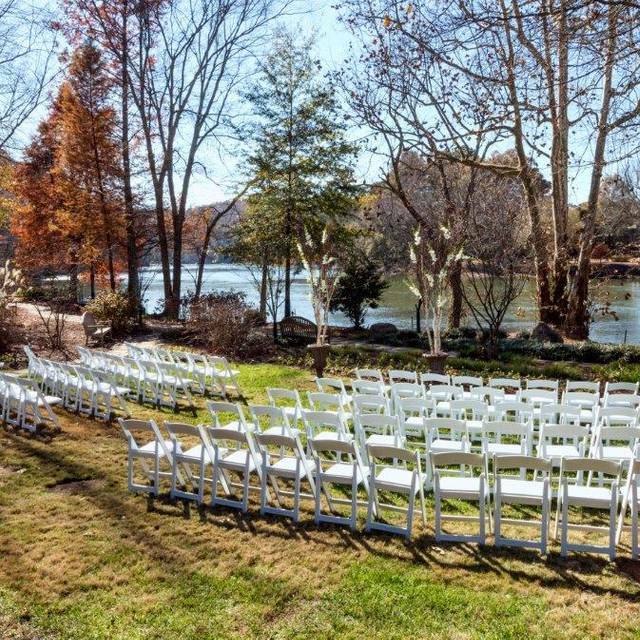 The setting is very picturesque right by the Chattahoochee river. The food is always great and the service is on point. My only complaint is that the valet parking was a bit chaotic upon arrival. Other than that, it's always a great experience. We went to Ray’s for Easter Brunch. The food selection was incredible and delicious! The service was wonderful and the atmosphere was gorgeous! Nice Easter buffet, but didn’t think the food quality was quite as good as usual. The choices were bountiful and service was excellent. Easter brunch. A lot of food put out but it was so tremdiusly average it was a total disappointment. It’s a beautiful setting, however everyone, including the tables around us felt the food was less than the quality one would accept at a cheap roadhouse. The food was amazing! They accommodated several special requests for picky kids, and the waiter was excellent; he knew the menu well and was able to answer all of our questions. I always enjoy the beautiful view of the river, which always leads us to take some family pictures. You should go! Our food was delicious and service very good but we were shocked when we received the bill that the fish special (one piece of fish and two scallops) was $60! Even the lobster was cheaper! The bread basket arrived with bread niblets instead of whole slices which was humorous. Guess a whole slice would have been too much to expect. Drink was supposed to be served with marinated cherries but they were missing. This restaurant tries so hard to be Canoe but it's the little things that they don't have perfected. You can come here and enjoy a good meal but cross the river and it is an outstanding experience. We were celebrating a birthday and our party was for 6. I made this reservation 4 weeks in advance and requested a table with a view. Upon calling the restaurant 4 weeks in advance to confirm a river view they said they could not guarantee it, not even 4 weeks out? This should have been a clue as to what to expect. We ordered appetizer they were great. We had to ask for bread twice. Our entrees however did not arrive at the same time. And our side dishes arrived 15 -20 minutes after our entrees and one of us was already finished with their entree. 2 filet mignons were ordered medium and came rare and the lobster tail was over cooked. Prices are high so we need to expect the quality and service to be high as well. In the end our server comped the side dishes and added an extra dessert as a please excuse the unfortunate happenings. Not sure we will be back. Always a treat. 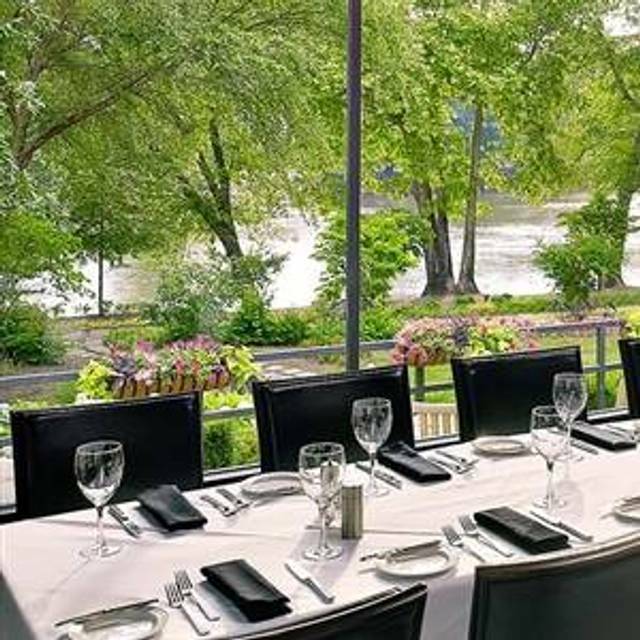 Book early for a view table on the river. Cannot beat the view of the river and wildlife. Inside is a bit dated (as is the music playing). Go for the natural ambiance and traditional old school food with great service. As always the level of service was amazing and the food was very pleasant! Very large menu with plenty of choices for everyone. Very helpful waiter. Excellent wine list. Celebrated my moms birthday. Loved the view. Service was amazing. The food quality was great, the taste was just okay for the entree. Great meal/time/evening, but expect a hefty tab. Sunday brunch just used to be so much better. The last time we visited we told each other we wouldn't go back but we had such good memories and great food as recently as just a couple years ago. Now the food is average at best and the desserts are not even that. All of the cakes are consistently dense and heavy. Service and ambience are second to none but if you are going to continue to charge high prices for Sunday brunch the food is going to have to get better. We had a wonderful time, the food was excellent for a buffet. Our server was awesome! He really made the experience amazing. We had a couple of questions. We had a great time. Loved where our table was too. 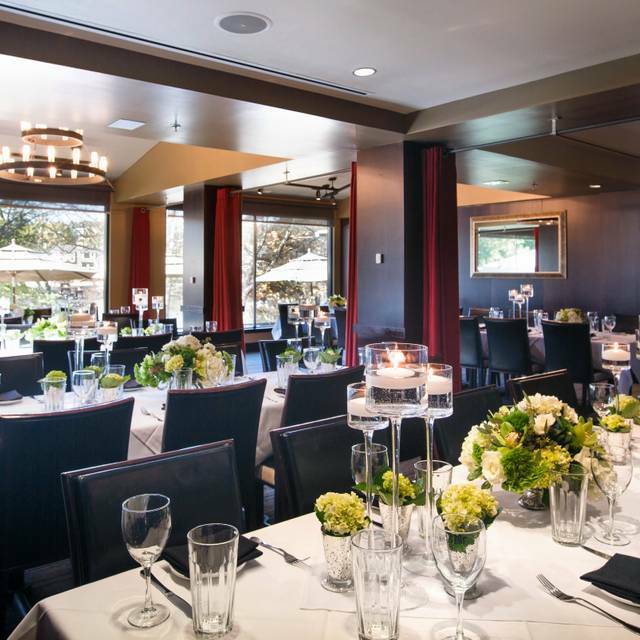 We love this place for special occasions. It was my daughter’s birthday and they made it very special. We will be back soon! Love the place. Next time, it will be a jazz night. Being a customer from 1984 i have witnessed a lot of building additions and interior improvements. Also, the quality of meals preparation grew a lot. It obviously is very different restaurant from 1984!? 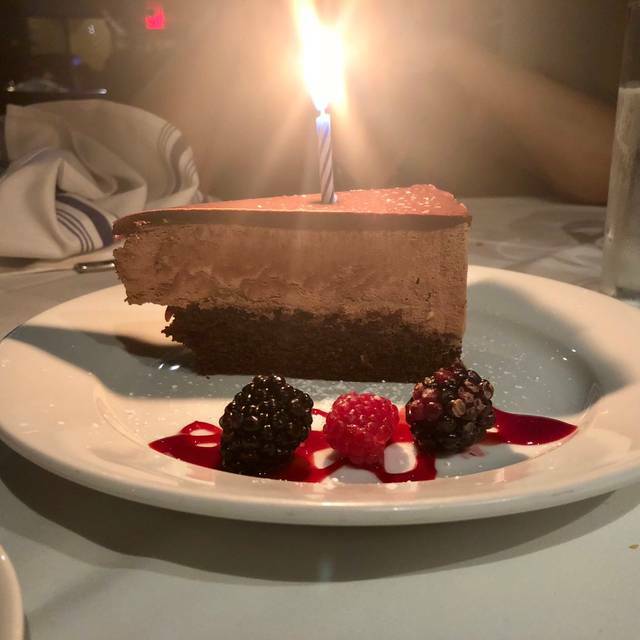 My finance took me there for my birthday and omg amazing everything about this place was beautiful from the food to the service to the ambiance definitely worth every penny! I always enjoy dining here. The scallops were amazing but the lobster risotto was over cooked and there wasn’t any lobster! Other than that all was well. I will return in spite of. The service is always good. Two gentlemen attended to our table. They were friendly and attentive. Love this place. I eat here often, usually one a week for business lunches. 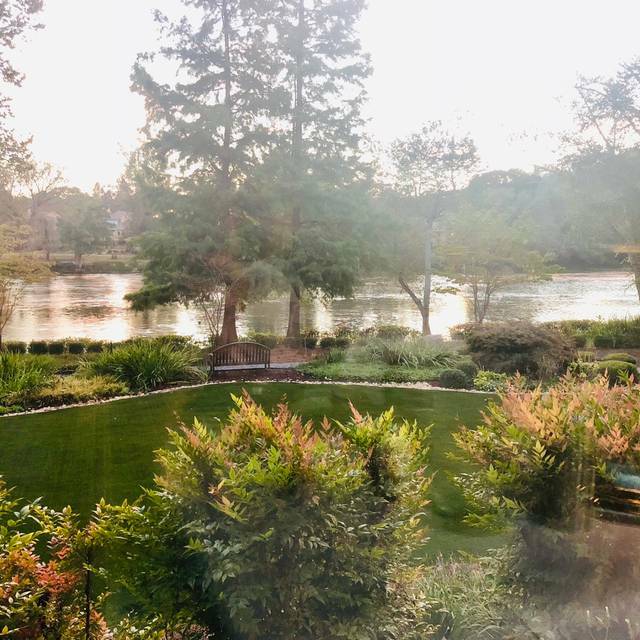 Great service, delicious food and a fabulous view of the river. This was not a good experience. The service was horrible . We had two waiter that disappeared. It took them forever to bring a wine list and then the wine. My wife and kept asking for a black napkin that did not arrive until we were finish eating. I ordered a steak medium and it came back well. Just was not a good night there. Food and ambience were great as always. The server was new and totally uninformed and relatively inattentive.